Mel Foster Commercial has been instrumental in the development of the Quad Cities retail market for three generations. Over the years we have worked with large and small retailers in both local and national arenas. The Retail market is a vast industry of intense competition that is the embodiment of the old adage “Location, Location, Location”. Success in the Retail industry begins with knowledge of the general retail environment, community needs and the direction of consumer trends. From the small Owner/Operator to the National Mega Store the Retailer seeks to fulfill a consumer need, based on product or services with location being a primary influence. Mel Foster Commercial has become a leader in facilitating Retailers in finding their location whether it is expanding into a new developing area or filling a gap in an existing neighborhood. Mel Foster Commercial agents actively pursue information through a vast network of city agencies, contractors, developers, etc. on our ever growing and evolving community, finding new locations as they become available. 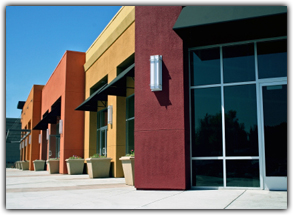 Whether the Retailer is looking to purchase or lease space for their ideal location, our experts stand ready to evaluate, negotiate and investigate the best options to meet location needs. For those who provide real estate resources for prospective Retailers, Mel Foster Commercial is connected nationwide to sources looking for new opportunities and new market areas. Our widespread presence in the metro and surrounding areas also brings local entrepreneurs to our agents for assurance in securing a location that fits their need. At the heart of our economy, the Retailer industry is our lifeblood to the prosperous health of our communities. Mel Foster Commercial is eager to assist you in finding your LOCATION in the Quad Cities Neighborhood.